From the Poster currently out in shops throughout Japan! Cont (RC) Shinken Hissatsu: During your turn, this Unit gains power+2000, and “Auto (RC) 1/Turn GB2: When you Drive Check a Grade 3 card, [Stand] this Unit.”. 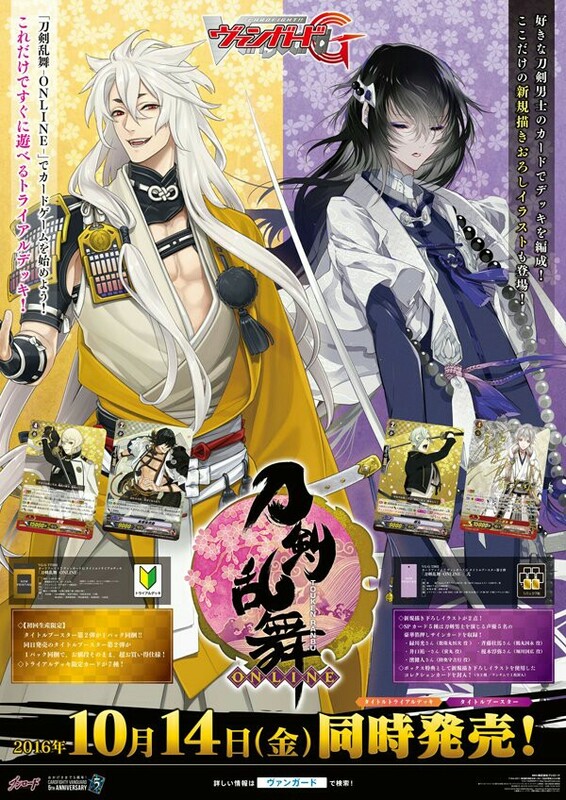 Act (VC) 1/Turn: [CB1, SB1, choose 1 face-down “Tsurumaru Kuninaga Toku” in your G Zone, flip it face-up] Choose 1 each of a Grade 3 and Grade 2 card from your Drop Zone, call them to separate (RC). If there are 2 or more face-up cards in your G Zone, when that turn ends, choose 1 of the Units called by this effect, return it to the hand. Auto (VC) Shinken Hissatsu: When you Drive Check a Grade 3 card, choose 1 of your Rearguards, during that turn, during that turn, that Unit and this Unit gain [Power]+5000. Auto (RC) Shinken Hissatsu: When your other Grade 2 or lower Rearguard attacks, during that turn, this unit gains [Power]+3000.